For many years I worked in the Bodleian Library at the University of Oxford, and throughout much of that time complaints and criticisms of our library website were frequently voiced. Indeed, at one point I persuaded a visiting scholar from the School of Information Sciences, University of Pittsburgh, to spend part of her sabbatical in Oxford evaluating our website and advising on its improvement. Though I no longer work at the University I am informed that the process of review and improvement is continuing, most recently through a series of internal focus groups. Internal reviews of local library websites are not restricted to Oxford alone, but are probably a commonplace activity in many university libraries. But why should this be so? Surveys have shown that for many students and researchers, the first port of call for information is a search engine rather than the library website or online catalogue. Even fewer actually enter the physical library building either to consult a librarian or take advantage of the services available. Indeed many users who access e-resources remotely may not even be aware that the service is actually delivered by the library. Libraries cannot compete with search engines in terms of quantity of information, but they can provide access to quality authenticated information and to resources not necessarily accessible via the web. They can provide subject guides, information about local collections (both print and digital), local operational information, and potentially a whole wealth of information that is specific to their needs. Nowadays the website needs to fulfil the role of “virtual gateway” to the library and its services, but the problem is to make it as simple and intuitive to navigate as possible while providing the breadth and depth of information appropriate to the research community. While there are many features that make a library website excellent to use, there are potentially as many that may make it difficult and unappealing, which may deter the user from fully exploiting its functionality. 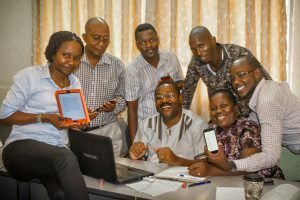 In the ACU report entitled Growing knowledge: Access to research in east and southern African universities, the author surveyed e-journal access in four major universities in Malawi, Kenya, Rwanda and Tanzania and essentially concluded that the availability of e-journals was comparable to typical universities in the UK and Sweden. Yet researchers and academics nevertheless claimed they did not have access to the latest literature in their fields. 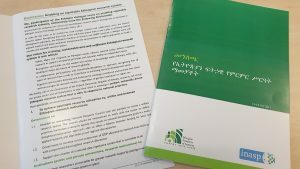 The report suggested several reasons for this – one of which was the under-development of library websites and portals. This observation certainly struck a chord with me and provided the impetus to initiate some further research on the state of African library websites. Although the project began initially to investigate e-journal access via local library websites, it rapidly expanded both in scope and scale. 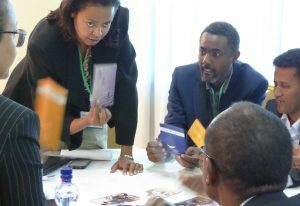 In all, a total of 200 university and college library websites from 10 sub-Saharan countries were examined, with a view to evaluating not only e-access but other functionality and wider services provided. The preliminary results of this survey were presented at ‘Libraries, the Amazing Gateway to Knowledge and Power’, the IFLA Africa Section Satellite meeting in Helsinki, 9-10 August. 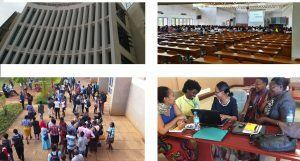 The final paper, ‘Gateway or Obstacle Course: A survey of selected African library websites‘ is available online. While several excellent websites were found, it would not be unreasonable to conclude that that academic library websites in the countries surveyed are lagging behind in their exploitation of the full potential of the library portal or gateway. They have not yet fully begun to reflect the challenges posed both by the growth of remote/distant learners and by the growing numbers of online users. Returning to the original reason for this project — access to e-journals — the proposition in the ACU report that “Library websites are relatively underused as access points to actual resources” (p.32) is now more understandable. Only 104 of the 200 websites surveyed provided any sort of access to e-journals. Access to the growing volume of e-journals need to be significantly improved. Of those that did provide access, almost every site, with a few notable exceptions, provided access by publisher only (a few attempted to divide these further by subject). In practical terms, this approach is of little use to researchers who are seeking articles from a specific named journal. They do not care or know who publishes the journal, or whether it is available by subscription or open access. The provision of a simple A-Z listing of all available journals would probably be the single largest improvement to the websites and would be the single largest contributor to the increased usage of expensive electronic resources. Peter Burnett is the Programme Manager of Library Curricula/Network Management at INASP and part of the Research Access and Availability team.